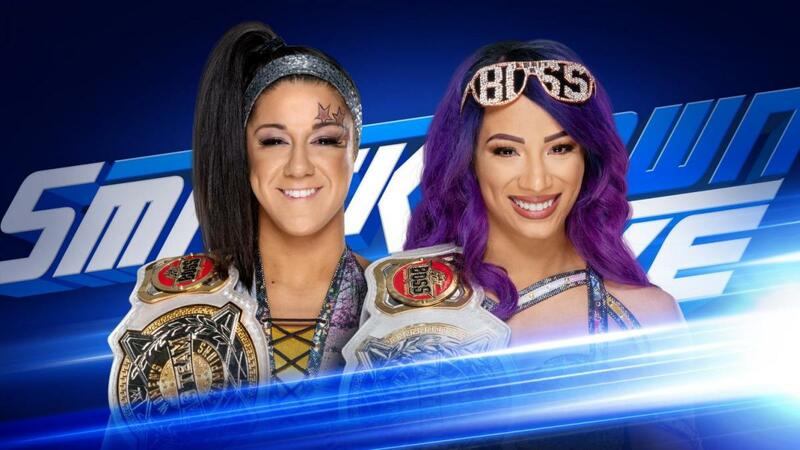 For the first time since becoming Women's Tag Team Champions, Sasha Banks & Bayley are set to appear on SmackDown. Banks & Bayley did an in-ring interview on Raw last night and said they'll be appearing on this week's SmackDown. The storyline is that Peyton Royce & Billie Kay have been challenging Banks & Bayley to show up on SmackDown over the past few weeks. Banks & Bayley's interview was interrupted by Beth Phoenix & Natalya. They issued a challenge to Banks & Bayley for WrestleMania 35, then Banks and Natalya got into a brawl and Phoenix pushed Bayley down. The interview segment led to Banks facing Natalya on Raw, but Nia Jax & Tamina interrupted the match and said they'll see Banks & Bayley and Phoenix & Natalya at WrestleMania. WWE has set up that the Women's Tag Team titles can be defended on Raw, SmackDown, or in NXT. Tonight's SmackDown is taking place at Bankers Life Fieldhouse in Indianapolis, Indiana. Kofi Kingston's gauntlet match will start the show, with him needing to defeat Randy Orton, Samoa Joe, Cesaro, Sheamus, and Rowan to challenge for Daniel Bryan's WWE Championship at WrestleMania. The Miz will also respond to Shane McMahon turning heel and attacking Miz at Fastlane.